Searches for a “2018 perm” have been trending lately. This is a perm that’s less frizzy curls and amplified volume and more beachy waves and subtle curls. And while Emma Stone may be the latest celebrity to get this kind of perm, Asian women have been sporting these perms for decades. Here, Marissa explains! Growing up, the only reference point I had when thinking about perms was the iconic Legally Blonde courtroom scene. If you don’t remember Elle Woods singlehandedly solving her first case by catching Chutney Windham (Linda Cardellini, anyone?) lying about showering directly after getting her hair permed, then did you even watch that movie? It was this scene that I learned the First Cardinal Rule of Perm Maintenance: You’re forbidden to wet your hair for at least 24 hours after getting a perm (at the risk of deactivating the ammonium thioglycolate!) It was also here where I first made up my mind about the kind of people who got perms: evil villains who were never to be trusted. Fast forward to 2018 and the perm is being touted as the ‘it’ girl hairstyle of year, or at least that’s what the recent surge in articles talking about them would have us believe. For most Americans, the revival of this iconic ’80s and ’90s hairstyle may come as a bit of a surprise. But for many Asians and Asian-Americans, this trend never died in the first place! I stopped believing in the evil perm myth around the same time I first watched Freaks and Geeks and realized that Linda Cardellini was actually cool, AKA high school, when all the Asian girls I knew came back one summer with beautiful curls. And then suddenly, wash-and-wear beachy waves didn’t seem so far out of my reach. This was a godsend considering I have the kind of straight Asian hair that can’t hold a curl to save its life. This desire for wash-and-wear texture is also probably why perms are so popular in a lot of East Asian countries, even for men. Many Korean and Japanese women will often get their hair permed a couple times a year in order to maintain their ideal look. Oftentimes the perm is so subtle and natural-looking that you can’t even tell it’s not the person’s real hair. They’re also a lot cheaper. Here, a perm can easily cost a couple hundred dollars, but I’ve had friends who’ve had their hair permed in Korea for $50. If getting a perm sounds at all intriguing to you, then let me break down some things you should know first. Part of the reason why so many Asians never stopped perming their hair is because they’ve modernized the process. The “hot perm” is a Japanese invention that was made specifically for thick Asian hair. You’ve probably heard it referred to as a “digital perm.” In reality, there are actually a couple different types, including ceramic perms and body perms, but the digital is by far the most popular. Although you can still get it if you aren’t Asian, the best thing to do is check with your stylist. The hot perm process is activated by heat and literally breaks down the molecules of your hair and rebuilds them to form around the spirals of the curlers. Unlike a traditional perm, it can create a more natural wave and is supposed to leave your hair softer and shinier than before. It’s also considered lower maintenance because the curls become tighter as your hair becomes dryer. That being said, hot perms also cost a lot more than your average perm and take longer too. Get it if you are looking for artfully tousled cool girl hair. Don’t get it if you are looking for something with a little more volume. Because the curlers are heated, the curl can’t sit anywhere near the scalp. Traditional perms or “cold perms” are what you think of when you think of your mother’s hair in the ’70s and ’80s. For me, this means my mom’s middle school Farrah Fawcett perm. For cold perms, hair is soaked in alkaline chemicals and then set in curlers. Because there is less heat to the scalp, this means that the curlers can start closer to the root. These kind of curls are also generally tighter, bouncier, and closer to a ringlet. Cold perms are generally less natural-looking and require more styling products. But, you can also get a fairly natural looking wave if you have a stylist who knows what they’re doing. The couple of times I’ve gotten a perm I’ve opted for a cold perm because they’re generally much cheaper and last longer if you get a tighter curl. It’s important to me to get the most for my money, so I’ve always opted to get a curl 15 percent tighter than my ideal texture and let the hair fade into the perfect state with time. Perms are great but that doesn’t mean they’re for everyone. If you have colored or bleached hair then it’s likely that your hair is already too damaged and you can’t get one. Thin fine hair is most likely also too sensitive for the perming process. But don’t worry, most salons will tell you if they think you’re hair won’t work during a consultation. If you’re stubborn like me and still thinking about getting one despite having one or more of these factors, don’t do it. Having home-done bleach blonde hair and getting a perm is a recipe for disaster. Just ask the Chinatown hair dresser who once melted half of my hair off! Where can I get a perm? Because the process is becoming more and more popular, it’s pretty easy to find a place that will do it for you these days. That doesn’t mean that you should just go anywhere though. If you are looking to get a hot perm done, be especially thorough in your research. If you’re in New York, check out HairOSH or T-Gardens Salon. T-Gardens offers both regular and digital perms, while HairOSH does perms for men! If you’re in LA , check out Hair Salon Nanana Parena. They do super cool digital perms! There are several factors that come into play when considering how long a perm will last. But on average, a well done perm will last for around a year. That being said, the looser the curl, the faster it will fade from your hair. And the tighter the curl, the longer it will stay. Even with tight curls though, the waves will soften and become looser and less-defined with time. Maintenance is also another key factor in determining the life span. The more care you show your curls, the longer they will last. 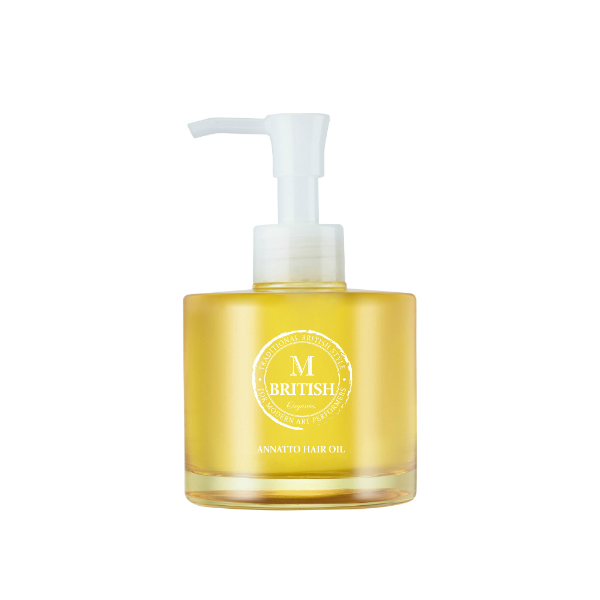 The British M Organics Annatto Hair Oil is a great way to keep your hair hydrated and alive looking afterwards. Masking will also become extremely important. 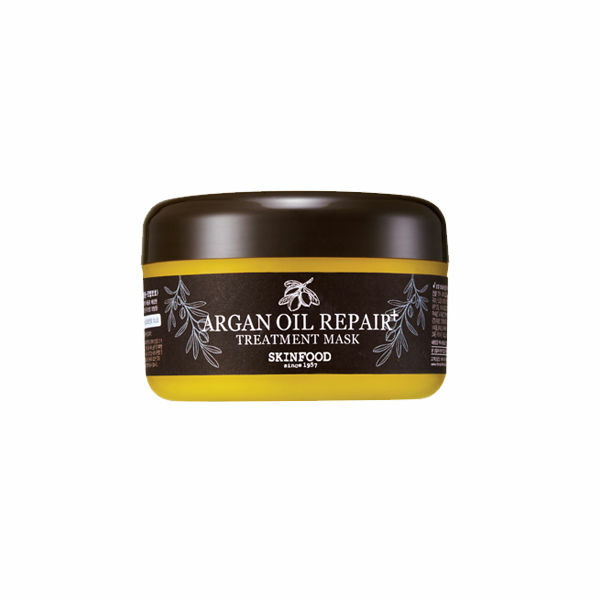 Try the Skinfood Argan Oil Repair Plus Treatment Mask once or twice a week to revitalize your locks. For shampoos and conditioners, look for ones specifically made for curly hair. Even though your hair may be naturally straight, its been restructured and now requires different products! My Chinese grandmothers would kill me for saying this, but also avoid blowdrying your hair as much as possible. Heat is obviously not great for your hair and will just damage it further. This means avoid curlers and straighteners, too. + Do you want to get a “2018 perm”? Let us know in the comments!